WELCOME TO LASERKLINIC, NEW YORK’S PREMIER COSMETIC LASER, SKIN AND SURGERY CENTER! LaserKlinic is a cosmetic laser, skin and surgery center, conveniently located at 3 locations in New York City: Manhattan, Astoria and Great Neck. We provide a wide range of most advanced and effective cosmetic laser treatment, medical spa, hair restoration, skin treatments and cosmetic laser surgery treatments. All these treatments are performed by experts and certified laser specialists. All the treatments are safe, comfortable and effective. SmartLipo laser liposuction perfectly shapes the body without any surgery and pain. PRP hair restoration revives the loss hair and enhances the youthful looks. 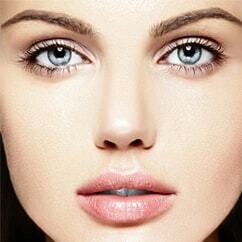 Cosmetic surgery treatments make the overall looks more alluring and beautiful. The lasers treatment for skin and body are minimally invasive and gives the perfect results. Botox and injectable fillers makes the skin wrinkle free and smooth with younger looks. Cosmetic laser medspa provides a full array of body treatments that gives you perfect looks. Along with these services, there are a wide range of treatments that we offer to the people of NYC. For more detailed information about our treatments, check our services pages. Meet our Award Winning & Highly Experienced Team of Board Certified Cosmetic Surgeons, Laser & Skin Treatment Specialists! What makes us standout among our competitors? You deserve to look at your best and so LaserKlinic offers the treatments and procedures to men and women of all skin types. Call us at 1-866-GET-LASER (1-866-438-5273) for free consultation or click here to contact us. Desiree – Clinic Director & Cosmetic Surgery Coordinator – Can help answer any questions you may have prior to a consultation.